iOS: For Apple enthusiasts, game developer Zach Gage is practically a household name. Not only does Apple love to feature the indie developer—and his games—on the App Store, but he’s won Apple’s Palme d’Or of apps, a coveted Design Award, as well as numerous other industry recognitions for his fun creations. You might know a few by name: Ridiculous Fishing, Sage Solitaire, Spelltower, and the ever-frustrating Really Bad Chess. Or perhaps you’ve seen his latest creation: Pocket-Run Pool. Gage’s secret sauce is taking regular games and activities and giving them just enough of a creative spin to make them entertaining and approachable without feeling overly wacky. Pocket-Run Pool felt like it arrived to nearly no fanfare. I can’t even recall how I stumbled across it, but I’m glad I did. 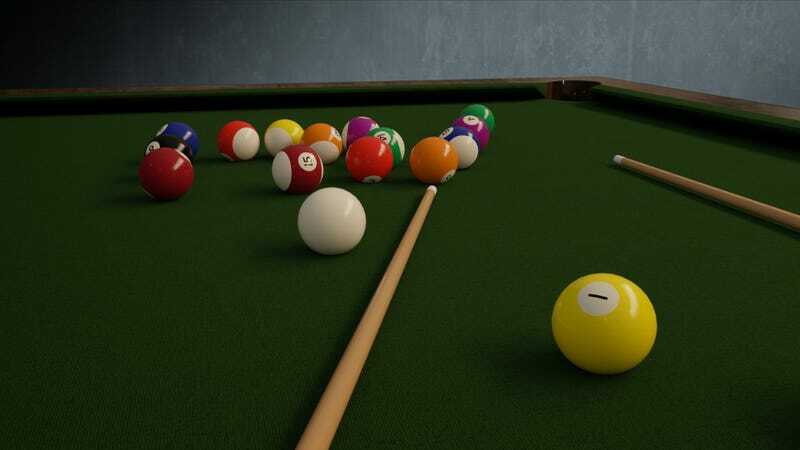 Even though the game’s physics requires a slight learning curve—it’s doesn’t quite feel like a completely realistic game of pool—that’s completely forgivable given the fun of the game’s fun twist. 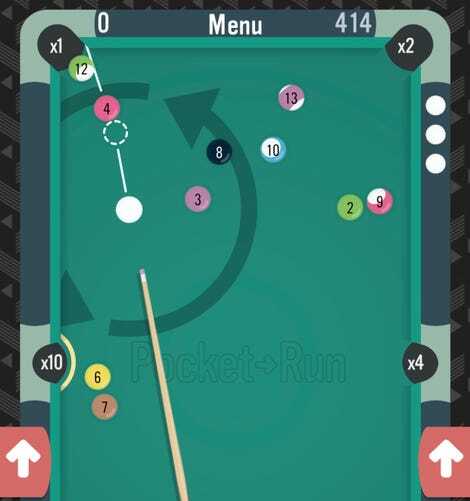 Your goal in Pocket-Run Pool is to sink balls in the pockets. You get a limited number of chances to make a “mistake”—or sink nothing in a single turn—which ups the ante slightly. The game’s unique aspect is that each hole is assigned a particular score multiplier, and these multipliers rotate (or randomize) each time you sink a ball. So, for a great score, you’re going to want to make sure you’re aiming for higher multipliers, which makes the game’s billiards-like strategy even crazier. The scoring aspect doesn’t matter all that much if you’re just playing the standard, free version of the game by yourself—it just enhances your sense of accomplishment and gives you something to screenshot to your friends. A “high stakes pool” mode lets you wager in-game currency to compete in challenges (and make fake money to purchase new cosmetic items). Pay $4 to unlock the full version of the game, and you’ll be able to compete in “insta-tournaments” against other players around the world as well as the game’s “break of the week” mode, which gives everyone an identical setup and lets them compete to see who can get the highest score. Even if you just stick to the game’s standard version, it’s pretty fun pool with just the slightest hint of frustration—just like real pool—when you realize you didn’t give a shot enough oomph to sink the ball you were aiming at. Thankfully, the game’s melancholy music should be enough to keep you from stressing out too much. And, hey, there’s always the next game.